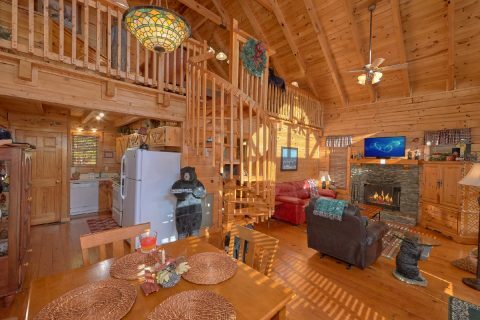 Looking for a 1-bedroom cabin with loft for a mountain getaway? 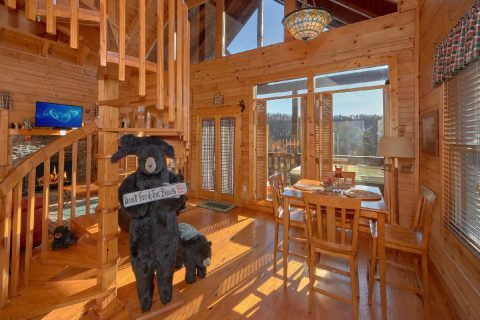 "Bear Heaven" offers guests a chance to enjoy comfortable cabin amenities, a convenient location, and scenic views! 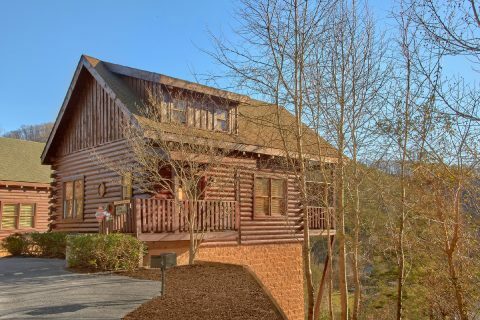 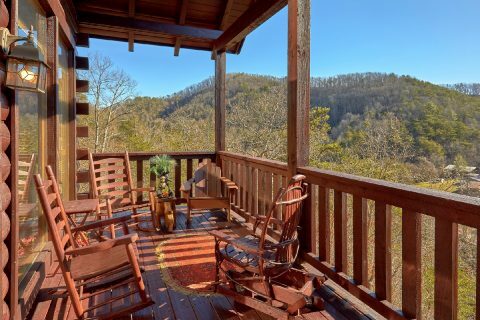 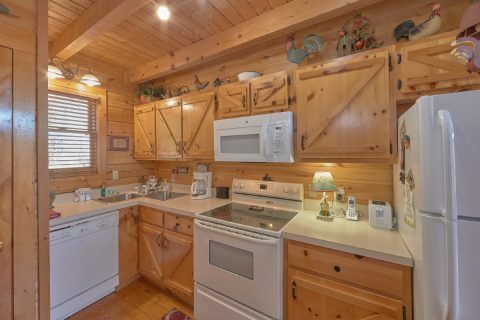 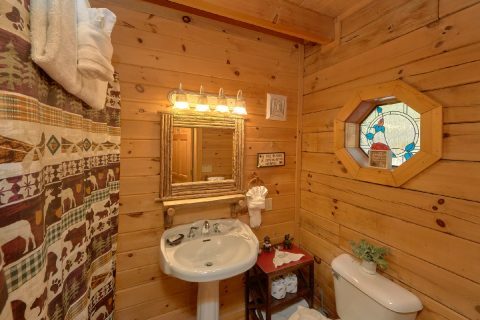 This cabin in Wears Valley allows you to enjoy mountain living all within minutes of the exciting Pigeon Forge Parkway! 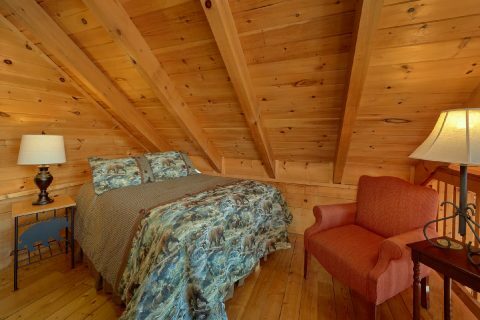 You'll be charmed once you step into this one-bedroom cabin retreat! 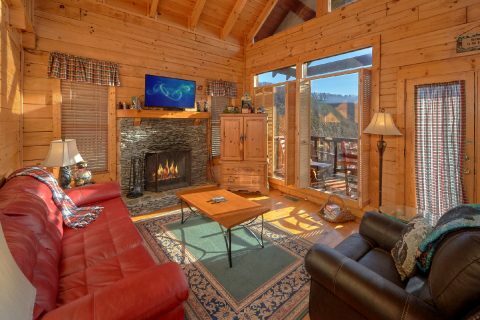 Unwind in front of the warm glow of the wood-burning fireplace. 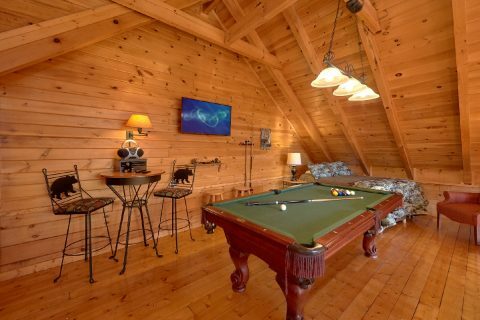 Host a pool tournament on the pool table. 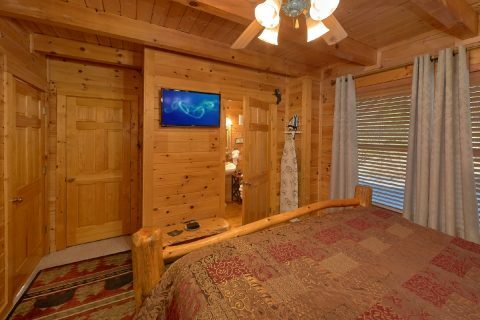 Watch your favorite show on the cable TV or streaming on the cabin's WiFi. 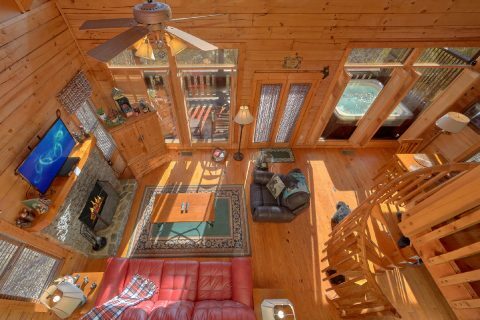 There's plenty of space to enjoy the great outdoors at your cabin getaway. Step on the deck and enjoy a scenic wooded view. 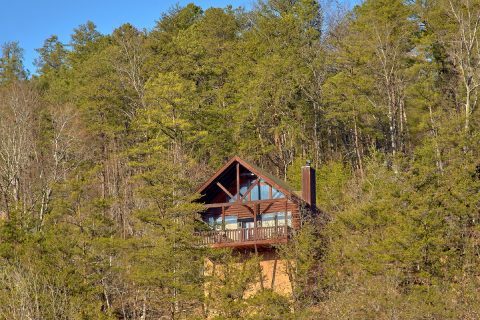 Your cabin is the perfect setting to enjoy unforgettable Smoky Mountain sunsets, particularly from the warm waters of your hot tub. 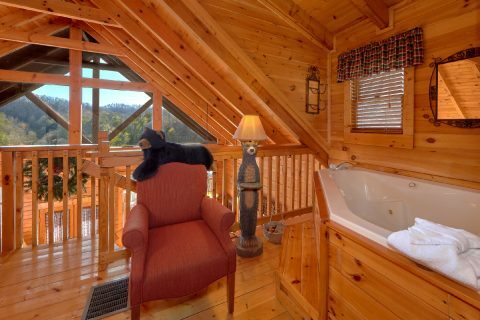 As the day draws to a close, you'll need to rejuvenate for another exciting day of adventure. 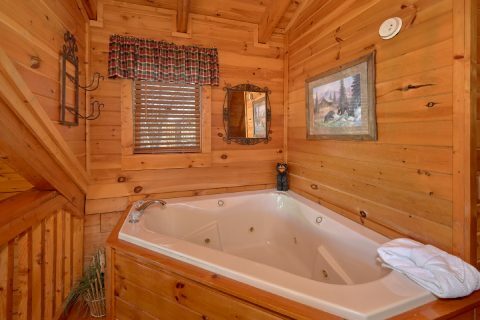 Take a soothing bath in the jacuzzi tub. 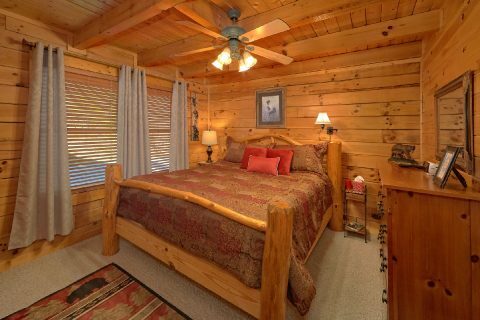 When it's time to turn in for the night, your cabin comfortably sleeps up to 5 with a king bed, daybed, and sleeper sofa. 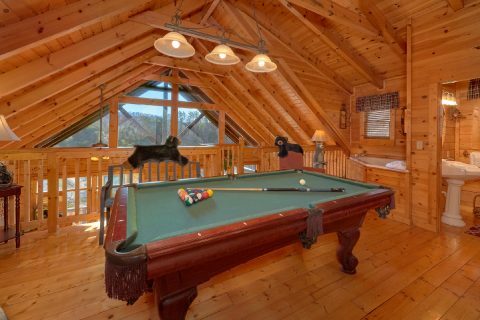 Book "Bear Heaven" today and enjoy a 15% discount on this nightly rate on this cozy 1-bedroom cabin with loft in scenic Wears Valley!